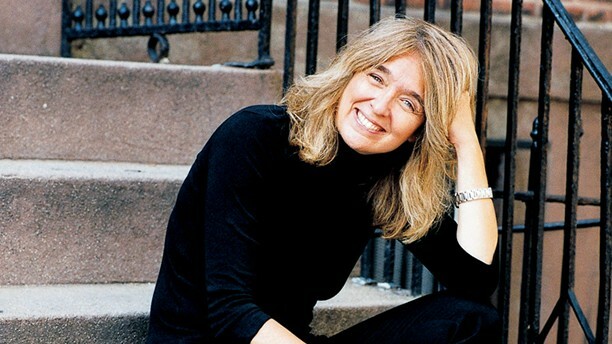 University of Rhode Island alum Ann Hood became a successful writer almost overnight. The Trans World Airlines, TWA, flight attendant turned New York Times Bestselling author credits her success to a sense of adventure and her incredible professors. The class of 1978 alum recalls her days at Rhody as a wonderful experience. Hood was heavily involved on campus as a sister of Alpha Xi Delta sorority, member of Student Senate and a member of the Good 5 Cent Cigar in the business department. As an English major, the job market was tough for Hood. With her Bachelor of Arts and her drive for literary inspiration, she worked as a flight attendant for TWA. Hood flew from coast to coast, traveling to cities like Boston, San Francisco and Los Angeles. She also spent time stationed in St. Louis and Pittsburgh. But Hood always wanted to visit New York. Hood went on to earn her Master’s in American Literature from New York University. One of her professors was the former Viking Press Editor-in-Chief, and she credits him for her jump to success. One summer, Hood called out sick from TWA for 12 days to attend the Breadloaf Writers Conference in Middlebury, Vermont. Founded in 1926, many famous writers, including Robert Frost, have attended the prestigious conference. She took her book “Somewhere Off the Coast of Maine”, at the time only 40 to 50 pages long, with her. Nick Delbanco, a British author, “gave my book to his agent and I had a book contract by the end of the summer,” Hood said. Shortly after selling the book, Hood had a front page review in the New York Times. One of the Barnes and Noble stores in New York covered their front store window with Hood’s bestseller. Although her first book was published over 20 years ago, Hood still cannot believe she is an author. Hood has taught various workshops, classes and lecture series throughout her career. Hood learned that individuals with the most talent are not necessarily the best writers. Instead,those who are the most dedicated, and do not let discouragement affect them, are the best. URI taught Hood to love Shakespeare and poetry, and introduced her to different classes and literary aspects. The novelist and short-story writer encourages aspiring writers to take chances and be creative.